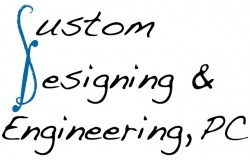 With our staff's experience and involvement of new construction and remodel projects, Custom Designing & Engineering has the ability to meet aggressive deadlines while maintaining client expectations. Having been involved with projects across the United States, CD&E has the experience to assist our clients in opening their doors on schedule and on budget. Custom Designing & Engineering designs retail tenant fit outs, new store construction, and renovation projects for over 90 major retailers nationwide, including flagship stores in New York City. Cost effective retail designs in a timely fashion are an everyday part of CD&E. Custom Designing & Engineering designed the tenant fit out of the 11,450 square foot subterranean wine storage facility. The design included precise control over temperature and humidity in the storage area as required for preservation of the wine products. The design also incorporated the use of a backup generator in the case of power failure.